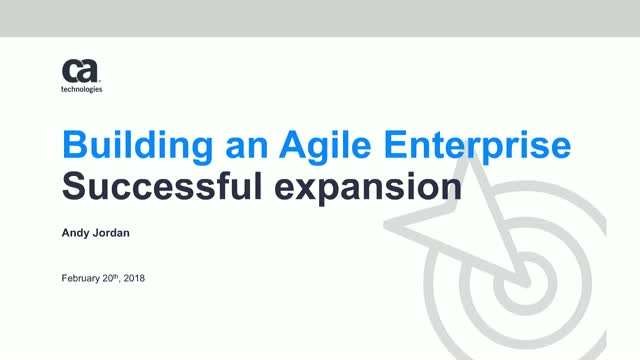 A lot has been written recently about Agile expansion. That might sound scary when you are still new to Agile and might only have a few teams onboard. However, it is still important to start thinking about how you envision Scaling Agile and incorporating your business strategy. Industry expert and ProjectManagement.com SME Andy Jordan believes that even for someone who is early in their agile adoption, it is essential to understand the concept of business agility. In today’s business world every organization has to be able to react quickly and with minimal disruption to the inevitable changes they face. Business agility maximizes your ability to do that. Start improving things right now by signing up for this webinar.